Yes, we’re in the middle of a record-breaking blizzard. Yes, the accumulated snow will keep me from my winter work of pruning clients’ shrubs. Yes, there will soon be so much snow on the ground I won’t even be able to take measurements for clients’ designs. So I’m planning this year’s vegetable garden. 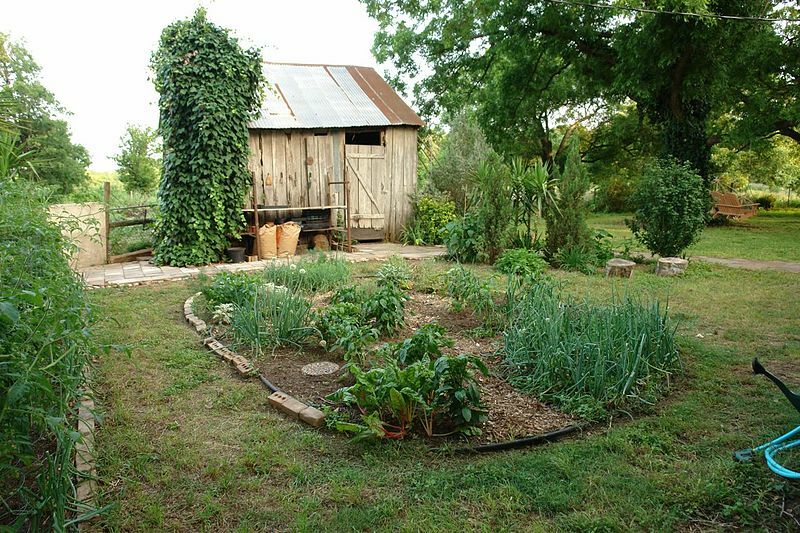 If you’ve never had a vegetable garden before, now is the time to plan. All you need is a small plot of ground, or even just some large pots, some rich soil, sun, and a plan for keeping critters away. A vegetable garden must get at least 6 hours of sun per day, and more is better. Many early crops can be sown directly in the ground as soon as the soil is workable, usually by mid- to late March. These crops include lettuce, arugula and other bitter greens, spinach, mesclun mixes, and peas. Depending on the weather, I generally sow all these around mid-March. I begin to harvest the greens about six weeks after planting and the peas in early June. Once the weather gets good and hot, I pull all these crops up and plant something else in their place. 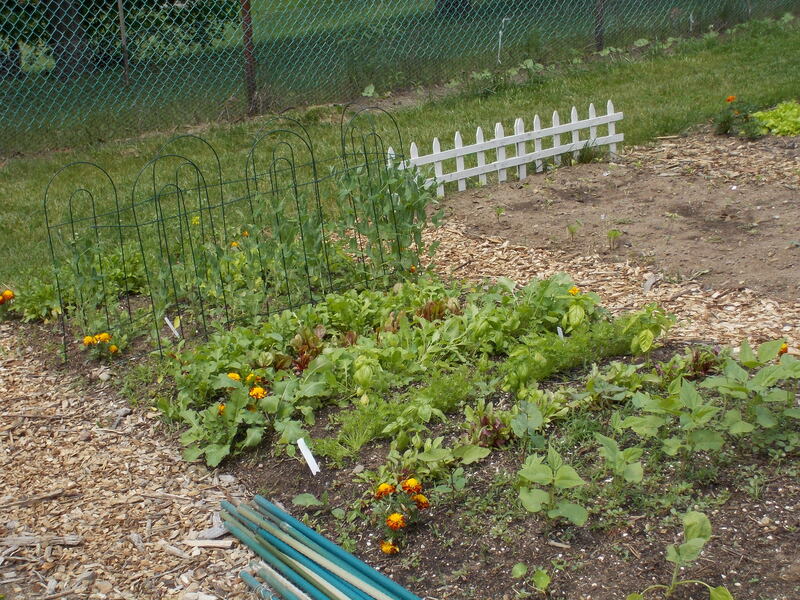 A plot that’s roughly 4 x 4 feet gives us several large salads each week. So order your seeds now. Mid-March is only six weeks away! Other tender crops, such as corn and beans, are sown directly outdoors, but not until the soil is good and warm, usually sometime in May. 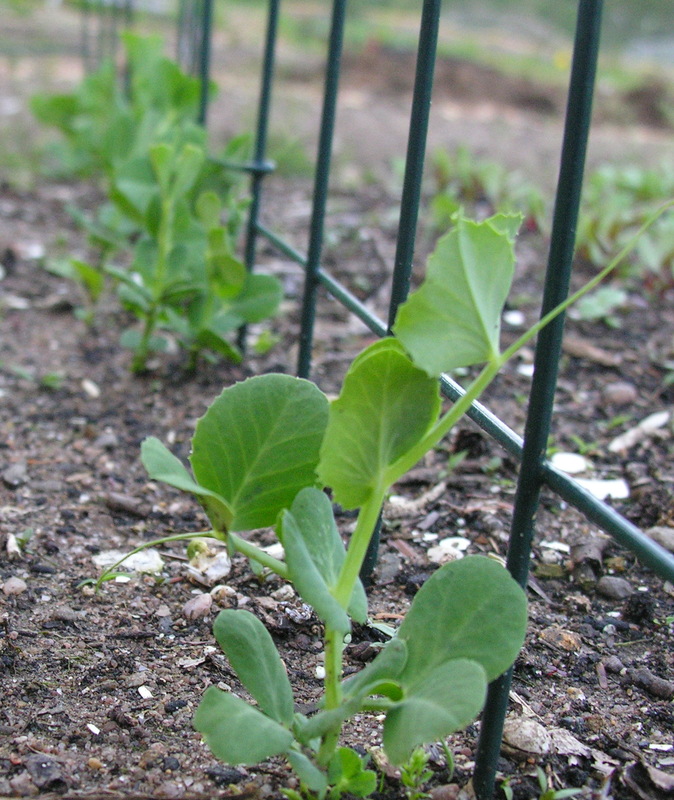 Late May in the vegetable garden: peas grow up the fencing at the rear; spring greens are in the middle, and the first row of beans is up front. 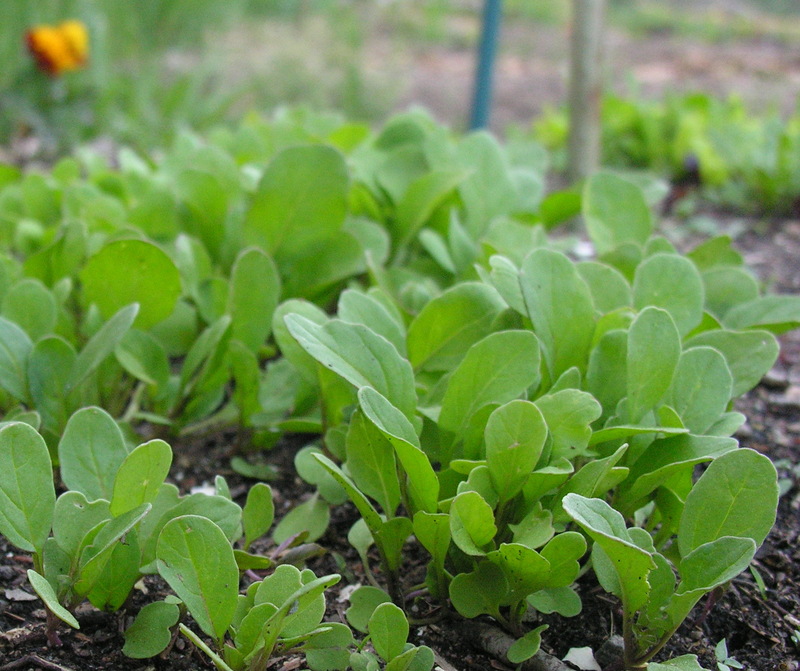 Growing spring greens: Got your seeds yet? It’s hard to believe, but in most years, March 1 (nine days from now) is a good time to start planting spring greens around here. The pictures above were taken on May 3 and 5 of last year. They show arugula almost ready for harvest and pea plants growing up a simple trellis. I had planted both crops on March 31 (later than usual, because last spring was particularly cold). Usually, I plant in early March. I expect to harvest early spring greens in mid-May and peas in June. Yes, I know there’s still a foot of snow on the ground. But it is starting to melt, and eventually it will melt entirely. So start ordering your seeds if you haven’t already done so. I’m almost ashamed to say that because the weather has been so wintry, I haven’t placed my order yet! Nothing could be easier than growing cold-weather crops like lettuce, arugula, spinach, mustard greens, or mesclun mixes of greens. I like to harvest a mix of greens leaf by leaf, rather than cut or pull whole plants, so I broadcast the seeds. Mark off a section of ground, and make sure the soil is smooth and weedfree. Generally a packet of seeds (around 2 grams) will sow about 8 to 10 square feet. Sprinkle the seeds as evenly as possible over the plot and water gently. Keep the plot damp until the seedlings are a good size. If the weather is warm, you may begin to harvest in three weeks; if cool, it may take 6 weeks. Sow a new crop every 2 weeks or so to extend your harvest (although most of these crops must be pulled up as soon as the weather gets hot–they go to seed and taste bitter). Generally, unless the weather is very hot, we will eat our own greens from mid-May until the end of June, when the CSA takes over. Greens and fresh herbs are almost ridiculously easy to grow as soon as you have a sunny spot, no matter how small. Try it this year. Start a small garden with your children. Don’t let the season pass you by.